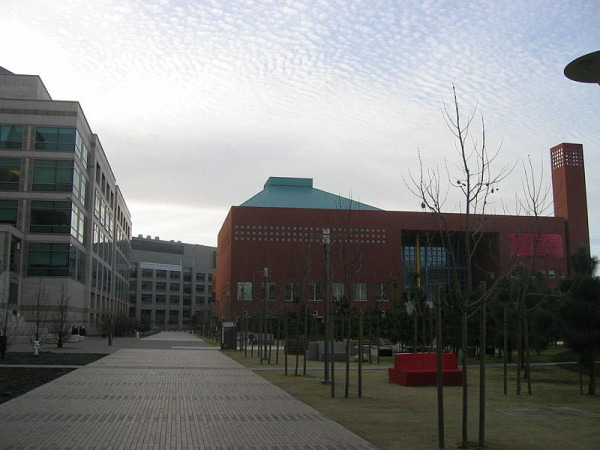 The UCSF Mission Bay research campus opened in 2003 at one of the offsite University of San Francisco locations. This biotechnology hub combines medical facilities, university research and industry collaboration. The level of integration and collaboration between facilities will accelerate new discoveries and allow them to move quickly from basic research into clinical practice. Since the opening of Genentech Hall, seven new buildings have been added to the campus, and two more are in planning and scheduled to begin construction. On the Mission Bay campus, there are currently eight buildings open for business, with two more on the way. What is remarkable is that seven more buildings have been funded and constructed in less than ten years since the opening of Genentech Hall. The two newest buildings will be the Global Health Sciences Hub and the UCSF Medical Center at Mission Bay. If you are interested in learning more about individual buildings on campus, you can read "UCSF Mission Bay and its University Research Buildings." The UCSF Medical Center at Mission Bay is currently under construction, and when it's finished, it will have a whopping price tag of $1.5 billion. The medical center will be finished in 2015 and will house a specialty hospital with 289 beds devoted to children, women and cancer patients. When the facility is finished, the medical center will have state-of-the-art hospital rooms, operating rooms and laboratories. Moreover, the medical center will integrate the latest in advanced technologies, such as electronic records, imaging and robotics, into its facilities. It is anticipated that the close collaboration with the research buildings next door will result in new life-saving treatments for patients. To help pay for the cost of this new facility, Marc and Lynne Benioff donated $100 million to the new UCSF Benioff Children’s Hospital. With the help of Mission Bay research institutes, new discoveries may be made each day that could lead to new technologies and therapeutics. The research discoveries from Mission Bay have already contributed to the care of 602 patents issued to UCSF between 2000 and 2009. Of these discoveries, more than 40 life science start-up companies have found their beginning at the Mission Bay campus. The new patents and start-up companies are just the beginning of the research boom on the Mission Bay campus. The hospital will revolutionize the research process by rapidly pushing new breakthroughs out of basic science and into clinical practice, using the close working partnerships between clinicians and scientists. Mission Bay Campus researchers have been attracting an enormous amount of funding for their biotech research and medical hub. Below are just two of the new research grants awarded in 2012. With of the help of a new CIRM grant, bone marrow donors might be unnecessary in the future. 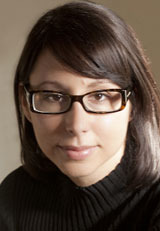 Ann Caepela Zovein (see image to left) is a professor in the UCSF Cardiovascular Research Institute and the recipient of a new $3.1 million grant. The grant will be used for Professor Zovein to find molecules in embryonic tissue that create hematopoietic stem cells (HSCs). The hope is that once these molecules have been identified, they can be used to create hematopoietic stem cells (HSCs) in adults. In the future, we might be able to turn our own adult bone marrow cells into stem cells. Men with advanced drug resistant prostate cancer will likely benefit from research coming out of a new $10 million grant. 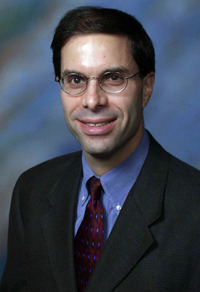 The grant was awarded to create a dream team of researchers led by Dr. Eric J. Small. (See image to the left.) In addition to conducting research, Dr. Small is the deputy director of the UCSF Helen Diller Family Comprehensive Cancer Center. The dream team will be a collaborative effort between six university campuses, including Oregon Health & Sciences, University of British Columbia, UC Santa Cruz, UCLA, UC Davis and UCSF. “Despite a number of new drugs that have been approved for this disease, some of which we helped develop at UCSF, many of our patients still develop resistance to these agents and die from progressive disease,’’ Small said. “This work will help identify the causes of resistance in an individual patient and help us tailor therapy for that patient.” With personalized cancer treatment, death from prostate cancer might become a thing of the past. The University of California, San Francisco Mission Bay medical and biotech life science complex is annually awarded a significant amount of research grants. This large facility is visited by 3,500 life science professionals each day, including faculty, staff, students, patients and other visitors. 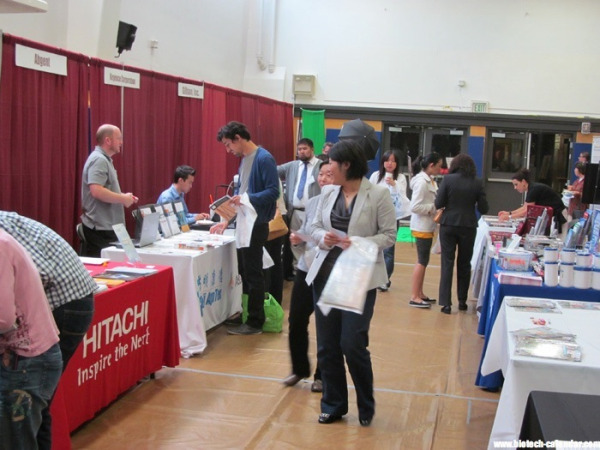 Biotechnology Calendar, Inc. holds its popular and well-attended San Francisco Biotechnology Vendor Showcase™ exhibition twice annually: once a year at the Parnassus Campus and once a year at the newer Mission Bay Campus. The event this year will take place on February 6, 2013. For more information on exhibiting at this event, you can click the button below.